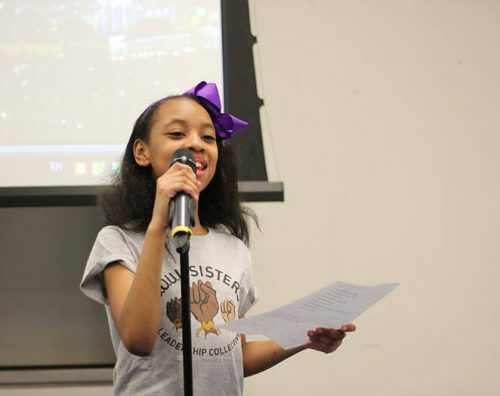 S.O.U.L Sisters empowers new leaders that have “lived and breathed” the inequalities of our justice, educational, and economic systems. As we move towards the alleviation of violence and poverty, it is crucial that we develop female community leaders who have the social awareness to change how vulnerable communities interact with systems. When provided with opportunities and support, these women will help lead community transformation. First, they must be afforded the right to heal. Our model provides girls most impacted by oppression with a deep investment in their long-term success. 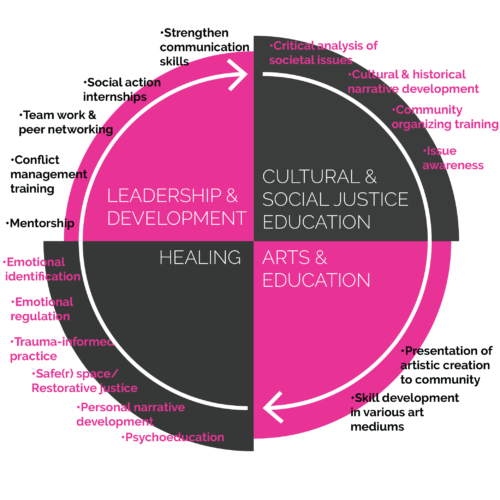 S.O.U.L Sisters is built on four pillars: personal healing, leadership development, social justice education, and the arts. We understand that gender identity can be very simple and very complex. Some of us are cisgender (when your biological body matches your gender identity, i.e. person born in a “female” body identifies as girl). Some of us are transgender (when your biological body does not match your gender identity, i.e. person born with “male” body identifies as girl). Some of us are gender non conforming or non binary (when a person doesn’t identify with either gender in the gender binary system or when a person identifies as all genders). SOUL Sisters welcomes all folks who identify with femininity, womanhood & girlhood. We are all femmes who share similar struggles. ​None of us are free until all of us are free.